Hot Weather Exercise: What Makes It So Hard? When the thermometer climbs, you know that fitness gets harder with each degree. But why? And how can you handle it? A couple of days ago I stepped outside to do my running session and hello said what felt like a thermal wall. Sunshine, 30°C (86°F) and about 70% humidity. At 9 pm. It doesn’t bode well for your fitness plans when you start sweating before you even hit “start” on the stop watch. After recording one of my worst times ever I sat down and researched why heat makes us perform so bad. On hot days your heart and circulatory system have extra work: dissipate heat by sending warm blood to the limbs and skin. 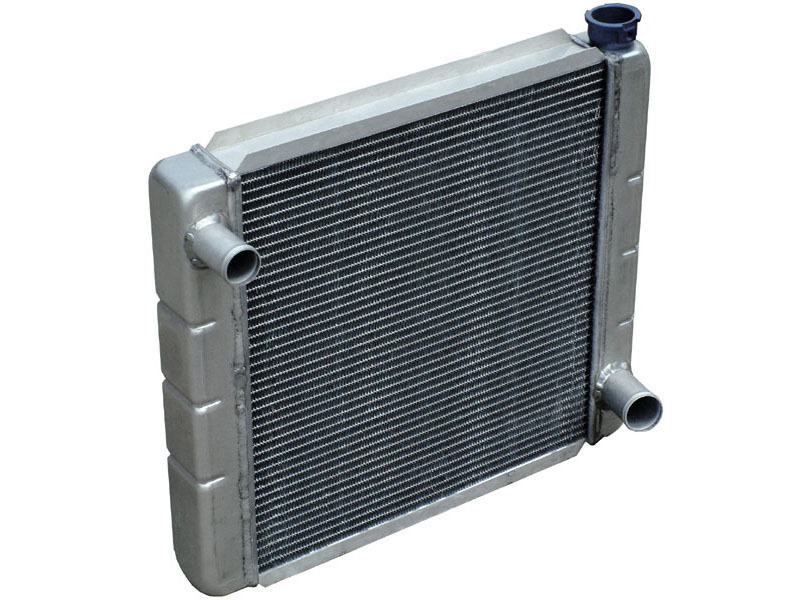 It’s a system that works like your car engine’s cooling system, where cool water passes through the engine block, takes the heat along and via pipes travels to the radiator, where it cools down. Then it goes back to the engine etc. Your skin (if you were a car). As nicely as that works for cars, in the human body the system has a major flaw: the blood used for the heat exchange has to be diverted from the muscles. That results in them getting fewer nutrients and less oxygen. On the other end of the network your heart also has to make do with less blood flowing through it during each beat. To keep your blood pressure normal it’ll increase its beats per minute – before you ever got into your session. You begin with a higher heart rate and reach your target rate sooner. Despite being slower. But your body has a secondary cooling system, designed to aid the first. I’m of course talking about sweating. When transporting heat to the body’s surface isn’t enough, sweating is turned on. The heat transfers from the skin into the sweat, which will then evaporate and give off the heat to the surrounding air. But this auxiliary system comes with a caveat as well. Sweat largely consists of water (not fat, although some people dearly hope it does) and losing that water means the blood gets thicker. The thicker the blood, the worse heat transport and nutrient delivery work. In addition, that heat dissipation to the surrounding air works less the more humid it is. If the air already is full of vaporized water there’s no room for yours. If at this point already you don’t feel like calling it a day once the temperatures go off into the 80s, I still have ozone for you. As nice as it is to have that gas protecting us from the sun’s radiation somewhere up there in the stratosphere, the bad it is on the surface. 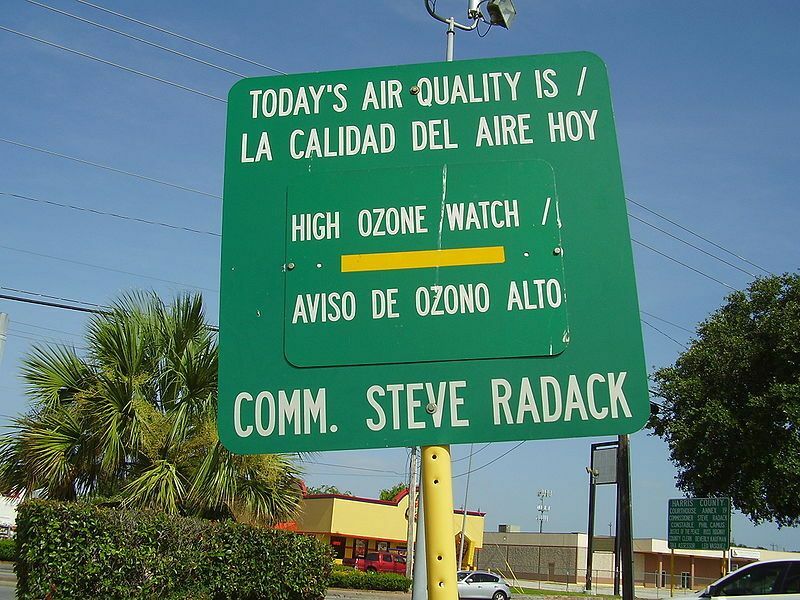 Down here, ozone limits your ability to breathe. They don’t put out those signs for fun. The higher the temperatures, the more ozone is in the air, because ozone is produced by heat and sunlight. It’s especially bad in cities, as exhausts from cars break down to the gas. Without any exaggeration, running on hot days in a city with high ozone is not doing your health any favors. Now you know all this, but what can you do if you live in an area where it’s hot for months and have no chance or inkling to train indoors? As on hot days your heart beats faster before you did anything, acknowledge that you have reached high intensity despite being slower. Take something to drink, mineral water suffices. Get the right clothes. I’m no big fan of expensive running gear, but if you run in hot weather, buying “technical” clothing made from synthetic fibers is worth it. Cotton soaks up sweat, which makes dissipation harder. Check the ozone readings. To do that for the US, you just have to visit the AIRNow website. Avoid the heat altogether and run in the mornings. The temperatures will be lower and the ozone concentrations at their lowest. Last but not least, use sunscreen. That hasn’t anything to do with your performance, but it doesn’t look too good to peel like a cobra and skin cancer isn’t that funny either. Around where I live I’m not affected by heat that often, but still hate when it influences my schedule. How do you cope with it? Pictures courtesy of “Thomás“, Bill Wrigley and WhisperToMe. I’ve had to deal with plenty of HOT days here in Florida! My key is to work out outside all year round so I’m always accumulated to the weather whatever it is. Of course I hydrate before running and if possible run in more natural, non-city areas. Even a park in the city is better than being surrounded by the hot concrete streets and buildings. Well, I don’t run ever but I do walk at the beach with bare feet in the water. It really works out the feet with all that shifting sand. Otherwise I workout in the basement and take my breaks outside for the fresh air. So funny that you would write about this right now – I’ve never had a problem with the heat until this year. Now, I can barely walk in the heat and the thought of running makes me sick!!! Well, in sumer I just switch from running ang hiking to swimming and cycling. Problem solved.